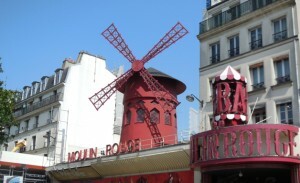 The famous Moulin Rouge There's more to Montmartre than meets the eye. It is usual for most tourists (myself included) to pop out of the Métro at Abbesses and head straight up the hill to Sacre Coeur to the highest point in Paris to check out the spectacular views of the city. On a very clear day you can see for miles and appreciate just how large a city Paris has become. 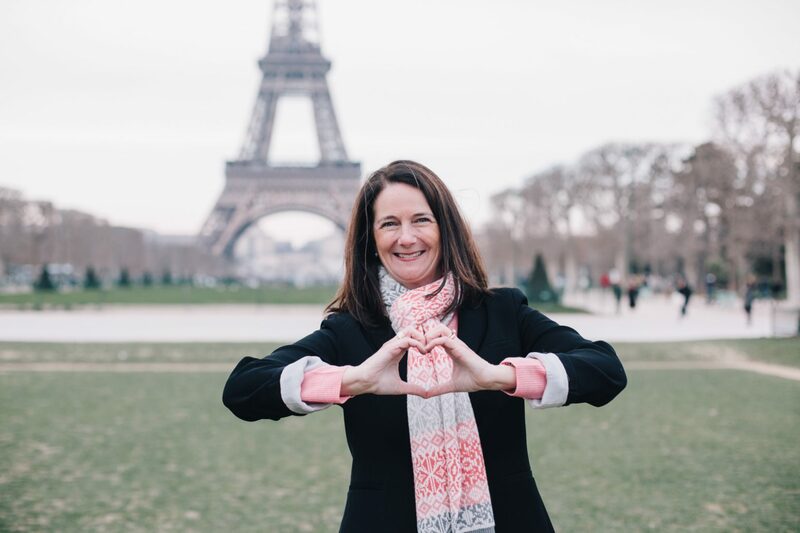 We took a walk with Context Travel Paris docent Marie Dessaillen on our History Walking Tour of Montmartre and were quite surprised at the many things we saw and learned in the course of just three short hours. While I am usually a fan of shopping at independent boutiques in Paris, I do love to check out what's new and hot at the luxury fashion chains like Chanel and Dior. 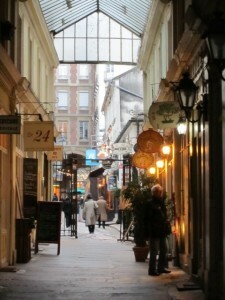 Luckily, shopping in Paris at Le Village Royal makes you feel as though each shop is an independent boutique. The petit village is accessed through an archway off rue Royal and leads you into the interior of a mansion block courtyard that connects to the opposite mansion block of rue Boissy-d'Anglas. 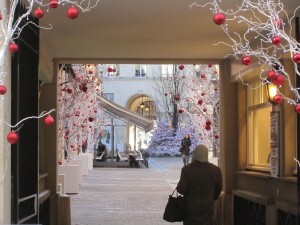 Shopping in Paris at Le Village Royal at any time of year is quite a treat, but at Christmas time it is pure joy. The decorations last year where whimsical and cheery. A remarkable amount of stained glass windows have survived the test of time, wars and natural disasters in France. 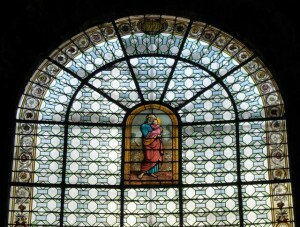 Picking the best stained glass windows in Paris and France is an impossible task. I have seen but a mere slice of the possible choices. There are hundreds of them in Paris and thousands upon thousands France-wide in large and small villages. At first glance, many appear similar, however to the trained eye they are quite different and reflect the artistic styles of those who created them over multiple centuries. The rosettas in the Cathedrals of Notre Dame Paris and Reims are magnificent and among the best examples stained glass windows in Europe. The windows below represent a small sample of my favorites so far in France. I look forward to sharing more with you from my future travels. What are your favorites? Shopping for fruits and vegetables in Paris can be stressful, unless you know who has the best, most organic produce grown locally. 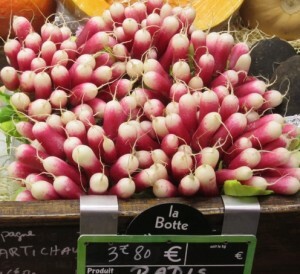 Many Parisians travel far to attend the great outdoor markets in pursuit of the freshest ingredients to cook with, but those living in or near the border of the 6th and 7th arrondissements can rejoice, because Au Verger d'Alice is just a short walk away. 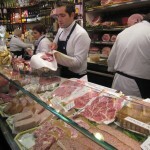 Finding farm to table Paris options can be as close as your neighborhood corner. 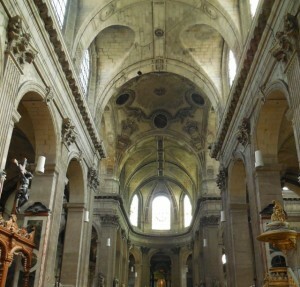 Although Saint-Sulpice seems diminutive compared to Notre Dame, it is only slightly smaller. It is actually Paris’ second largest church. Its Roman roots date back to the 13th Century but the bulk of the construction and renovations were done much later in the early 1600’s. A new sanctuary, ambulatory, transept, portal and chapels were added on in the latter part of the 17th Century and into the 18th. Often overlooked for the more popular churches like Notre Dame and Sacre Coeur, its claim to fame is that Saint-Sulpice is home to the best organ music in Paris. People flock from all over to see and hear the organ that is one of the greatest in all of Europe. Keeping up with the ever-changing fashion world of accessories can be overwhelming and very costly if you have teenage girls. Where can you find adorable, affordable accessories in Paris? I’ve got you covered. 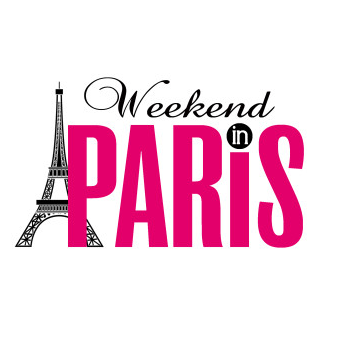 Karine Dupont Paris is the place to stay atop of the latest trends without breaking the bank. 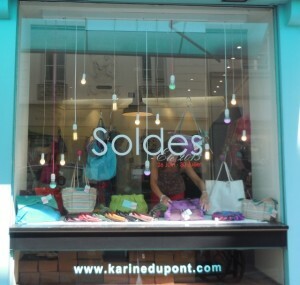 The brightly colored aqua façade of the stores set the fun tone of the Karine Dupont shops. While shopping here is fun any time of year, the soldes (sales) times are particularly enjoyable where picking up already inexpensive pieces become major league steals when 50% or more off! It is pure Nirvana if you travel with people who enjoy the same types of activities and at the same pace. 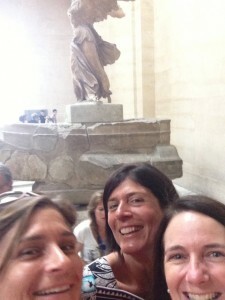 It can be hell if the majority of the group loves to try a new museum and one person hates them. Love to shop, but the rest of the group avoids it like the plague? Examine everyone's needs, do your homework before the vacation to assess compatability. If you know one of your pals won't appreciate what the rest of the group likes, then give them options. During the times when you visit museums they can either do their own thing and meet up with the group later, chill at the hotel or opt out altogether and wait for another trip when the group is more aligned with their goals for sightseeing destinations. Sometimes the best option is not traveling together at all. 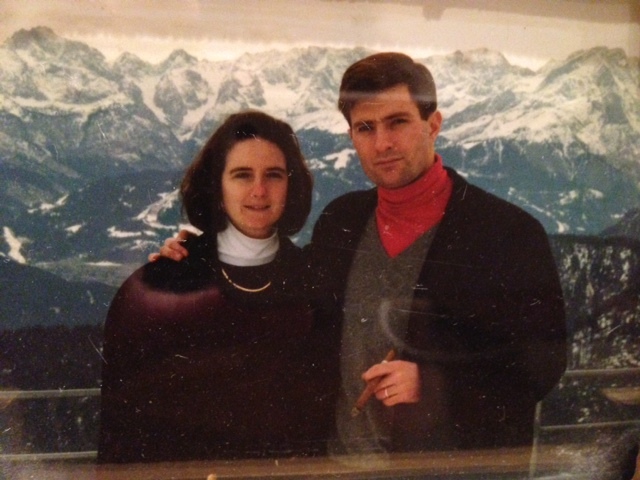 Another fabulous Guest Post from writer Margo Waite… Unlike Priscilla, when we head for Paris we rent an apartment and stay for a few weeks, settling into a studio in the seventh. Just around the corner from our temporary home is the Rue Cler market, proffering a fine selection of the best Paris food markets have to offer. Even if you’re in staying in a hotel, you’ll find it fun to explore. We purchased a small rolling suitcase at one of the shops to take home our excess purchases. There’s something for everyone on this busy street.